Gee Reign is superlatively talented . His vocal timbre and lyrical depth speaks volumes . 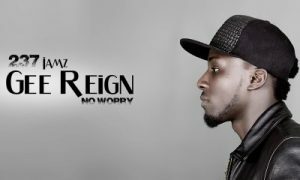 After a while of silence, he breaks out with a powerful tune titled “No worry”. The song is emotionally appealing , bringing light in the dark, preaching positivity and optimism.